Whether it’s for foundation or building work, jack hammer compactors can make the whole job easier. With heavy duty hardened steel construction, you’ll be sure that your skill and tools will never fail you no matter how tough the job is. 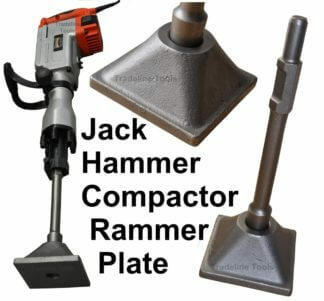 We have compactors or rammer plates that are compatible with Hitachi, Makita, Ozito and other brands of jack hammers. These have been widely used in building, construction, demolition and mining applications. Many concreters, landscapers, builders and pavers use these to make compacting crushed rock and dirt a breeze. Before laying concrete or bitumen it’s important that the crushed rocks are rammed down as desired. Also, access to the sites of concern should be relatively easy (in contrast with the usual petrol compactors). Getting into the tightest places has never been a problem with our compactors. Aside from compacting crushed rock, our specialist tools have also found strong applications in compacting dirt in trenches and stump holes. With strong construction the price will be really worth it and it can bring you high ROI again and again as you complete each job efficiently. 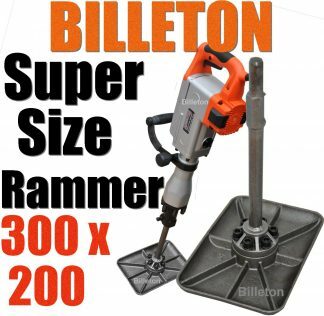 It even gets better because these high-performance and sturdy jack hammer compactors might be available now at discounted rates (up to 80% below retail). 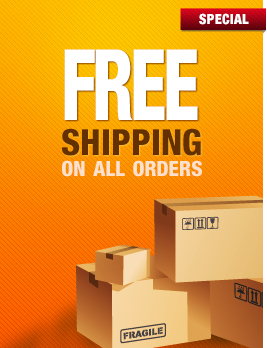 We offer free delivery Australia wide and we dispatch each order as soon as we can. You can also be sure of the high quality and longevity because we only source from the most reputable suppliers and manufacturers. 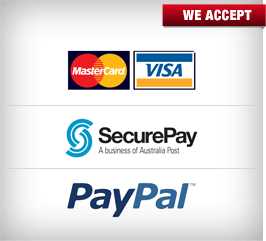 If you’re worried about compatibility, our technical staff can assist you with the proper choice. This way you make sure you’re buying the right thing for the job. We understand that it’s an investment and we want to help you get the highest ROI no matter how tough the job applications you’ll be handling.